This kit allows you to finish your twelve 2019 Sewing Sewcial blocks into a throw sized quilt. Finished size is 57in x 72in. The twelve blocks must be purchased separately. 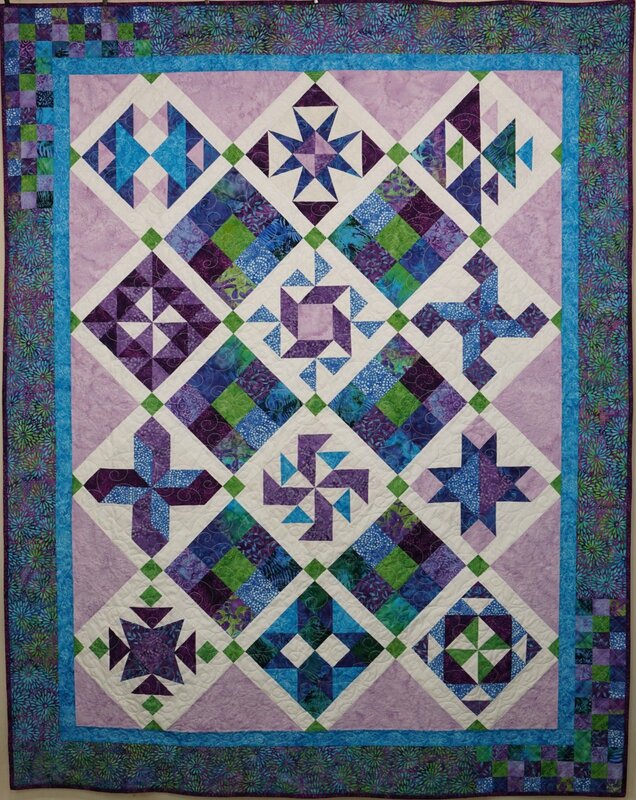 Kit includes fabric for the additional nine-patch blocks, sashing, setting triangles, borders and binding along with the pattern. Backing must be purchased separately and 3-1/2 yards is needed.